Nine subsidiary Future Women has partnered with specialist consulting firm Diversity Partners to create the FW Academy. The FW Academy is designed to offer expert insights, speakers and tools to corporate clients to help them challenge unconscious bias, promote inclusive leadership and work flexibility. Nine’s digital content director, Helen McCabe (pictured above), said the partnership was important to Future Women as it provided the foundation for the new subscription business, which will launch later this year. 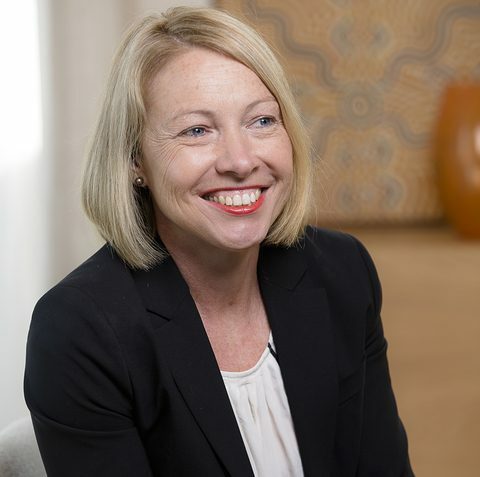 McCabe, who is also the founding director of Future Women, said Diversity Partners CEO Dr Katie Spearitt is an acknowledged expert in the field of gender diversity. “Katie and I have been talking a lot and our goal is to bring her skills and learning to an even wider audience,” she said. The FW Academy will sit outside the consumer offering as a specific business targeted at Australian organisations needing expert consultants on all diversity issues. McCabe said the business was planning to launch Future Women in the coming months, with the FW Academy to launch later in the year. “It is a substantial member offering, so I am trying to be patient and put an emphasis on getting it right,” she said. Spearitt is an industry leader in providing a range of solutions for firms of all sizes. Since 2009, Diversity Partners has assisted more than 200 clients across Australia, New Zealand and the Asia-Pacific region. “We immediately saw the commitment of the team behind FW to progress gender equality through providing high-quality journalism, advice, and member offers,” Spearitt said. Spearitt said she believed the alignment with Future Women was serendipitous. “We were impressed by the breadth of experience and deep personal commitment of the Future Women team to gender equality,” she said. “Their vision of providing professional women with unique insights and thoughtful content immediately resonated with us. “We wanted to extend this vision to support businesses to lead gender equality and build more inclusive workplace cultures. There’s a great deal of research showing it’s not women who need ‘fixing’, but corporate cultures. “FW Academy is an opportunity to influence cultural change by providing practical tips, e-learning and well-researched insights so organisations can turn words to action. “FW Academy also gives us a platform to reach a much broader audience and influence change well beyond the boardroom. In March, Future Women announced its first editorial appointments, with Emily Brooks joining as launch editor and Danielle Pinkus as content director and editor of the FW digital magazine. Patti Andrews has also been appointed as creative director, while Angela Ledgerwood will work as New York correspondent. B&T is doing its part in fostering gender equality in media with our Changing the Ratio event. As well as this, our annual Women in Media Awards will recognise exceptional women who’ve achieved astronomical success in the media and communications industry. Get started on entries here and get your hands on tickets here!